Our enhanced curriculum will give your child the "best start" in preparation for their elementary school experience. 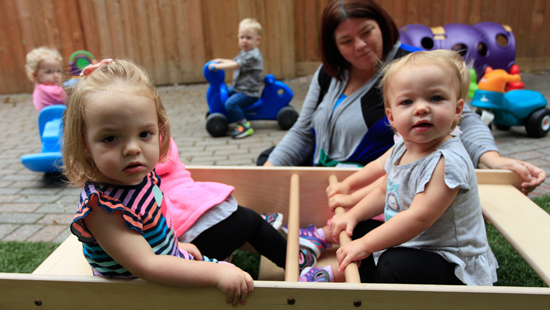 Feel like you’re missing out on moments while your child is in daycare? Delta Chi subscribes to HiMama. This means you’ll receive updates on your child’s activities to your email and smartphone – everything from health and nutrition to learning and development. New content defaults to private so no need to hold back – add every little thing! Then, when you want to share, easily send to your close family and friends with the click of a button. Your family can’t be with your child every day, but that doesn’t mean they should miss out! 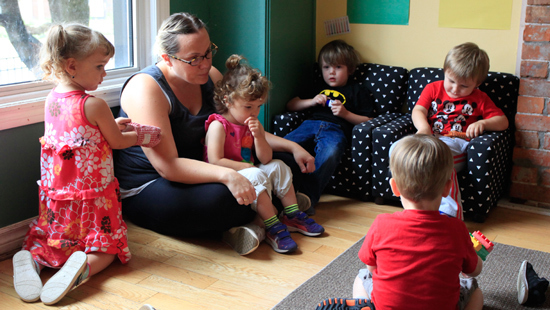 Our french program provides Early French language experiences for toddlers and preschoolers in an interactive and artistic environment. Through learning centers, music, movement, song and story telling, children will develop basic French vocabulary and language skills. 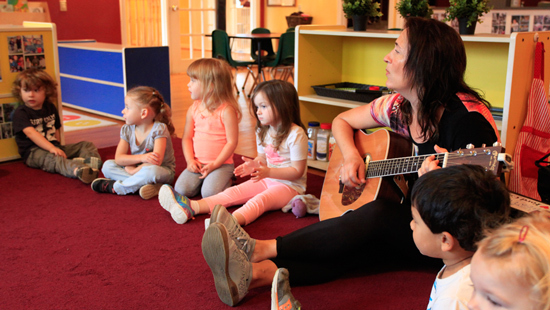 Delta Chi Childcare Centres are looking towards future endeavors of each child while music collaborates in helping them to achieve their goals. Each child will continue to remember a time when music lifted them to a moment of joy and allowed their imagination to focus; here the need for music is easily recognized. No longer can we debate the importance of music in the classroom. Scientific research in the field of music is quickly moving forward and restoring our confidence by providing clear evidence to support the advantages of teaching music and art. Students who are taught music at school are showing higher test scores than their non music counterparts within specific fields of math and language. Memory skills developed through music are contributing in other fields of learning: stronger focus during classroom instruction and better homework practices. Among the list of students applying to medical school, music majors had the highest percentage of admittance than any other group. Research is also showing how music is actively involved in brain development and social development in an age of internet-based communication rather than face to face interaction . Scientific study is clear in affirming the advantages of musical education on cognitive, motor and social development. Encourage children’s creative imagination and self-expression. Improves over all well being and stamina. Promotes mental and physical health and a positive attitude toward exercise. Builds cooperative skills and good social behavior by working with a partner or in a group. Allows infants to share their worlds. Reveals how smart infants are. The Centre provides a nutritious midday meal and morning and afternoon snack. The menus are posted in each classroom and are based on Canada’s Food Guide. Our meals are fresh and delicious and are prepared every day on site by a full time cook. In the Infant Room, each child is on an individual schedule based on the parent’s written instructions. Except during inclement weather, the Childcare Early Years Act requires that every child be taken outside for 2 hours throughout the day. Exposure to the open air is a powerful remedy against long-term or recurrent infections. 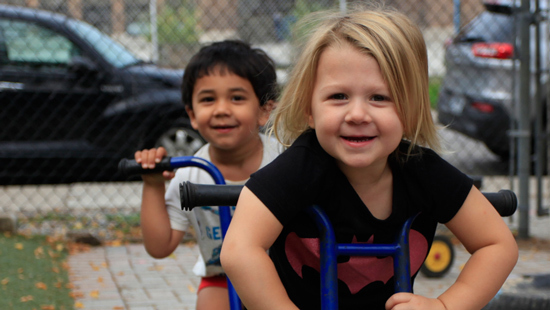 Outdoor play is also a time when a child has the opportunity to develop and improve his/her gross motor skills.